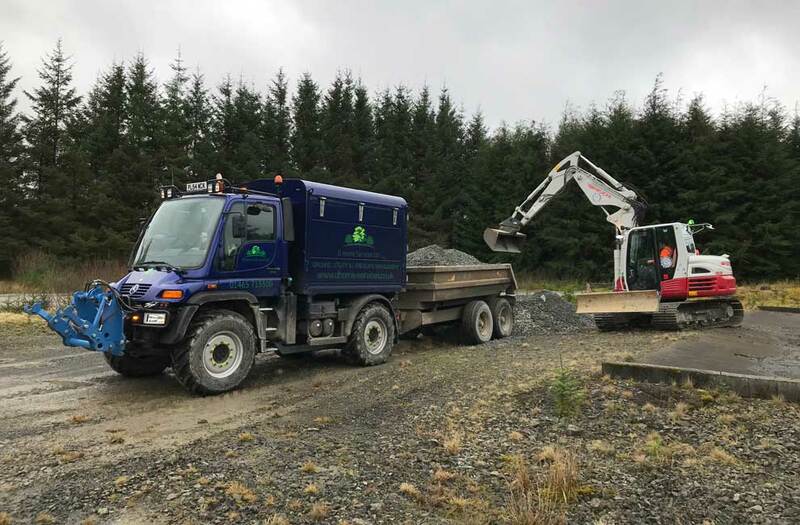 Our Unimog U500 with 275bhp gives us the versatility of being able to move our equipment to and from sites quickly and with minimal customer disruption. 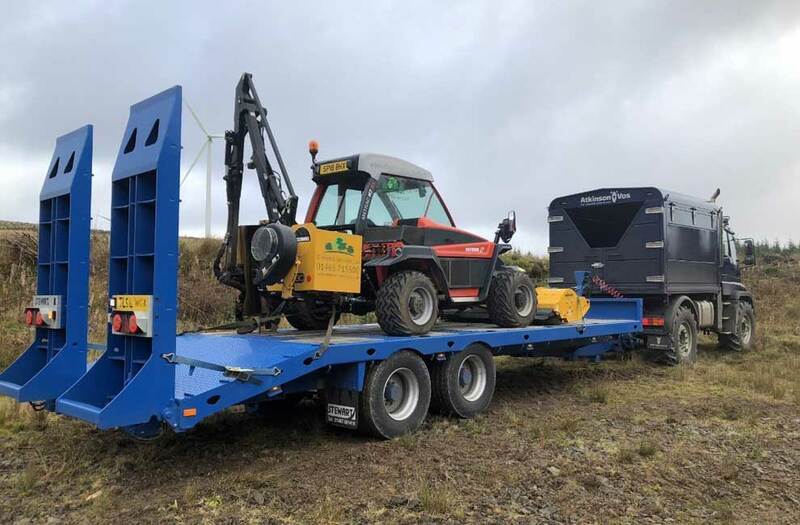 It also gives us the capability of using it when completing tree work as it has a designated demountable chip box on the back. 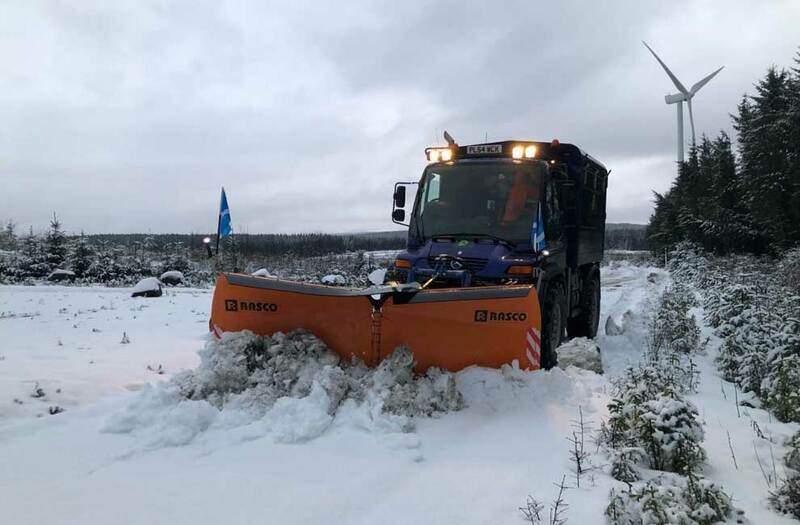 It comes with the same linkage as a tractor so implements such as cutting decks and power arms can be used and during the colder months the snow plough can be fitted on the front and the chip box can be changed for a gritter at the rear. 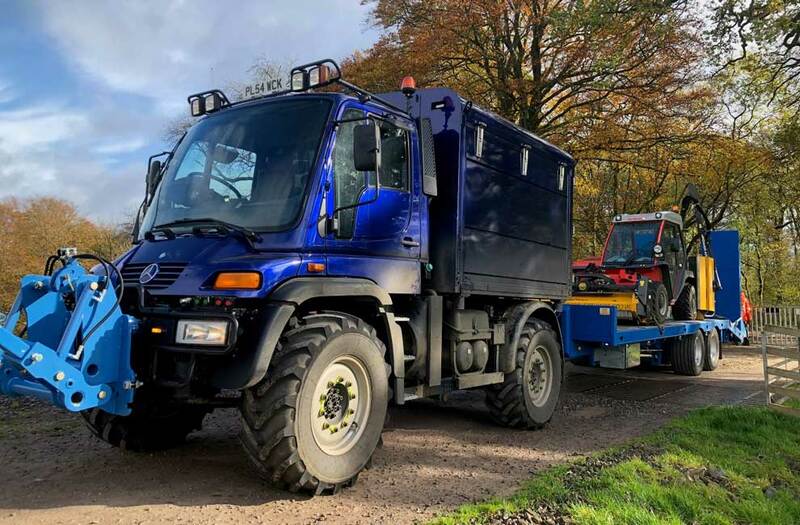 The Unimog U500 offers unmatched performance. It can be custom equipped more individually than any series-manufactured vehicle. The Unimog's off-road characteristics are unparalleled. With a top speed of up to 55 m.p.h. it's also faster than a tractor. The panoramic cab offers an optimum view for working in comfort and safety. The VarioPilot system allows the entire driving position to be switched from right hand drive to left hand drive in under a minute which enables total control on either side of the vehicle. Portal axles, permanent all-wheel-drive, coil springs, single tyres. Transmission, intelligent gear shift, hydrostatic drive, automatic shift, converter and clutch unit. Front power take off & Auxiliary drives. Safe, cost effective, robust frame design. State of the art engine.